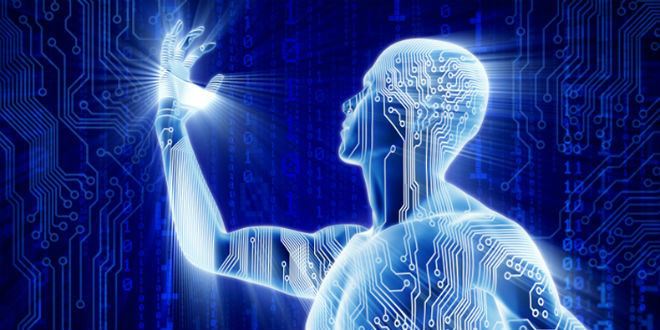 As per Wikipedia, Transhumanism is a loosely defined movement that has developed gradually over the past two decades.It promotes an interdisciplinary approach to understanding and evaluating the opportunities for enhancing the human condition and the human organism opened up by the advancement of technology. Attention is given to both present technologies, like genetic engineering and information technology, and anticipated future ones, such as molecular nanotechnology and artificial intelligence. Cross and puzzle conceptThe enhancement options being discussed include radical extension of human health-span, eradication of disease, elimination of unnecessary suffering, and augmentation of human intellectual, physical, and emotional capacities. Other transhumanist themes include space colonization and the possibility of creating superintelligent machines, along with other potential developments that could profoundly alter the human condition. The ambit is not limited to gadgets and medicine, but encompasses also economic, social, institutional designs, cultural development, and psychological skills and techniques. However this very idea of Transhumanism is based on a very limited understanding of Humans and the world in general. While Transhumanism and its tenets wish to deal with the existence of Human beings beyond it physical limitations and natural cycles, it actually completely ignores the essence of life and its transforming nature. It is also blind to the repercussions on the very existence of this planet and species living on it for narrow material gains. No one can ignore the fact that Humans will keep on developing with it efforts to evolve on the physical plain but in its efforts they have put the survival itself at stake. On the other hand , human is Transhuman if understood and realised. There is no need of augmenting its capabilities by physical means and tinkering with the laws of nature without understanding the critical balance in which it exist with other living and non living beings. The amount of resources that are being pumped into various initiatives under the garb of Transhumanism, a fractions of it is good enough to alleviate the spirit of millions of Humans living currently on the face of it and can make this world a better place to live. All that is required, is to go inside and realise the true potential which is dormant within. And no one can deny the undercurrent of another kind of Transhuamnism emerging out of it.